Forever’s key to success is a commitment to quality and purity. The products start with 100% inner leaf gel, delicately adding just enough other ingredients to produce outstanding products. Forever is so confident in the quality of its products that we offer a complete 60-day money-back guarantee. Aloe Life is a new lifestyle magazine combining aspirational lifestyle content with informative product articles. Take a look at the Aloe Life e-magazine. Looking for more Forever products? You can find all available offers in my webstore. My name is Graeme. I have found working with Forever is a really exciting opportunity as it offers us a better work/life balance and enables me to help others. Please feel free to take a look through the website and magazines and get in touch if you need to know more. See how the Forever business opportunity has worked for so many ordinary people. Controlling your own destiny financially is a goal most of us desire – it makes almost anything you want in life possible. If your job or career isn’t taking you where you want to go, Forever Living Products offers a great opportunity to change your course. Take at look at the My Future magazine. Forever Business Opportunity - Will it work for you? Diamond Managers and Executive Global Leadership Team founder members Jayne Leach and John Curtis, started their Forever business over twenty years ago in the summer of ’93. They have since achieved consistent and phenomenal success over the past two decades, including receiving the top UK Chairman’s Bonus cheque this year. They’ve witnessed incredible change and growth in Forever, both globally and here in the UK. Forever Business Owners today can thank Jayne, John and their leaders for sustained major input into some of the core literature and training materials used globally, and the couple continue to inspire and motivate generations of FBOs across the world. In this intimate interview, Forever’s Editor Kate Hodge asks Jayne to reflect on her Forever journey and to share her accumulated wisdom with other FBOs who aspire to build life-changing Forever businesses. KH: What was life like for you when you began your business? JL: I was a single mum, and whilst I had loved and was good at working in farming, after eighteen years of hard work, working with livestock and show-jumping horses, I still didn’t make any real money. Finances were a ‘challenge’ and we were literally surviving from day-to-day. Then I met John, also a single parent experiencing doubtful financial prospects. Together we realised that we couldn’t carry on doing work that didn’t give us what our now combined family needed. Friends in America advised us to find a really good network marketing company, and that if we did, and worked hard, we could build a strong long-term business and income of our dreams. I clearly remember not understanding what they meant by network marketing, but we did as suggested and looked at companies in the UK. Having given it much thought and discussion, we decided to look for a company that had consumable, benefit driven products; a marketing or compensation plan that would outlive us to leave a legacy income to our four children; preferably a private company with proven management, and international possibilities; but almost above all else, to be associated with an honest opportunity we could be proud of. A lot to ask? Of course, but remember, we were looking to get it right first time. So, we looked at every single network marketing company we could find in the UK, but didn’t particularly like any of them. After attending their meetings, we couldn’t relate to either the distributors, their products, the management, or their ‘style’, so we almost gave up the search. This changed with a phone call from a friend, telling us about a company called Forever Living. Intrigued, we got together and he showed us everything he had on the company, literally a few pieces of paper, a few pictures, and a couple of products. Cautiously excited, we didn’t want that excitement to cloud our judgement, so ‘due diligence’ led to meeting with the then UK Country Manager Dusty Green. Very open and direct, he answered all our questions, so we registered, got some products, and got started – that was the beginning of our long-term ‘love affair’ with Forever. KH: Why were you determined to succeed? JL: We didn’t join just to ‘give it a go’; we joined to be successful. We felt that network marketing was the way of the future, and possibly the only way open for us to build a big life and achieve big goals and dreams whilst helping other people. We were ready to be successful; mentally we wanted success. It was never, ‘we’ll see if this works’, even in the early days when there was nothing in place in the UK – no meetings, trainings, Success Express events, Advisory Board, Head Office of substance, literature, manuals, brochures, internet – there was nothing. But we were committed to Forever’s founder Rex Maughan’s vision, philosophy and mission statement, and reassured that although it was brand new to the UK, it already had a sixteen-year track record and the company was enjoying success in the USA, Japan and a host of other countries. If it was working out there, it could work in the UK as well! However, in the early days of our business, network marketing did not have a great name. It was almost seen as the thing you did when you had exhausted all other options, but because this company was built on values, integrity and ethics, John and I had decided that we were going to help make it the best network marketing company in the UK. We knew that if we worked with quality people, we could make it the best, so that became our vision and mantra. We also listened to Dusty: he always advised us to do the right thing, go the extra mile, and remember that when you help someone else, you create a ripple effect. He also talked often about the need to remain modest in the face of increasing success, and to accept responsibility for being role models that others want to follow. KH: What was Forever like in the beginning? JL: When we first started, John and I sat down and had a planning meeting, deciding that if we were going to build a business, we had to implement a system. So, we got a Forever flipchart and drew out a very basic Business Presentation (BP) – this has since been developed by the leaders into the BP that everybody enjoys today. We started having BP meetings in our home every Wednesday night and Saturday morning so we started inviting people along. Most didn’t come, but the common reaction amongst those that did was that we were somehow crazy; they would tell us not to waste their or our time, to get a ‘proper job’, or worse, but we just knew that it would work, so we kept on asking. Alongside asking people to look at the business, we also began to use these times as opportunities to sell products. We had no success stories to share, and almost nobody had even heard of aloe, so we simply shared our personal experiences. However, in the first two weeks, we developed a retail base of over 8CC. The first six months of our business continued in much the same way: John, our box of products, a Forever flipchart, and me! We then started training on Saturday mornings after the BP, and the First Steps to Manager Planning Manual that you use today began to develop from one we made twenty-three years ago! We achieved Manager in fourteen weeks, but every single night I was either doing a launch, one-to-one, or BP. At that time, Head Office was based in a tiny office in Selly Oak, Birmingham. We drove there to get products, and the paperwork for orders had carbon copies. The only way we could work out our case credits was to gather the carbon copies from the orders, add them together manually, and constantly check them at the all-important month end. But it was such fun – we would all get together and often stay up really late counting and checking case credits on those pink slips. There was a lot of team spirit and I loved that we all came together – there was a real closeness. KH: What are some of your fondest memories? JL: I remember qualifying for our first Rally. Dusty spoke so fondly of the American Rallies and even though we had only been in the business for nine months, I was already a bit obsessed with wanting to go there – I had never travelled further than Europe at the time. I honestly thought I had done something wrong so cancelled the following day’s appointments. The next day, after dropping the kids off at their schools, we went to the office and turned the phones off in anticipation of some unforeseen ‘bomb shell’. Dusty duly arrived on time, but still with a somber demeanor. I’d lain awake worrying all night and couldn’t cope any longer, and half expecting termination for something, I asked him to be straight and tell me what the problem was. He looked at me for a few seconds, but then he couldn’t contain himself any longer and burst out laughing. He opened his briefcase and pulled out two tickets for America before running around the room whooping. That was to be our first ever trip to the States, and I will never, ever, forget it. We actually had no idea that we had qualified – keeping on top of case credits when it was all done on paper was quite difficult, and unbeknown to us, we had achieved 1,500CCs. The Rally was in San Francisco and we came back as changed people. Meeting Rex and the Vice Presidents, and seeing the enormity of the company; the values, the ethics, the vision, the people, it was all ‘mind-blowing’. Back then, Forever had an American Rally as well as a World Rally, but the only people open to qualification for World Rally were the country’s top distributor and the Country Manager – fast forward to 1995 and we achieved just that and another long-term ambition, to go to Peru and Machu Pichu. Another outstanding and fond memory of the early days involves Rex. He was due to come to the UK and there was an incentive whereby you could have aloe ‘mocktails’ with him. It was a recruitment incentive, and if you won, you also got a television and VIP access to this exclusive ‘mocktail’ event. I knew I wanted to be at that party. The week before, a Head Office meeting declared the qualifiers and winners, and when Dusty called out the qualifiers, then third and second places, I was becoming despondent at the thought that we hadn’t managed it. But when he called out our names for first place, my jaw dropped open and I thought two things: firstly, that the kids were going to love the new TV, but more importantly, that we were going to meet Rex. Yet another striking memory was when Dusty phoned to tell us that Rex was coming to the UK with Rjay Lloyd (a long -term friend of Rex and the Executive Senior Vice President), together with Dusty’s dad, Harold. Rex was touring the UK and wanted to come to our (tiny) office, and he wanted us to hold a Business Presentation. When I heard this, I said, “Dusty, our office is minuscule, and so is our training room, what am I going to do?” He just said that we’d work something out, so we did – I remember going to the local junior school and borrowing small children’s chairs so that we could get more seating in the room, and on the night, we filled sixty chairs with overspill guests in the hallway and down the stairs. Rex spoke and signed a book for me, which I still have, and the whole thing was just incredible. KH: Why did you decide to go global with your business? JL: Travel is a major passion for both of us, and we felt that it would be brilliant to go to countries where Forever had, or was planning, a presence. For us, it made sense to go there, do some work, and then enjoy different cultures and experiences. It was also obvious to me that building a multiple income stream with a global-based business meant taking advantage of everything Forever offers. Our first ever global business foray was Italy: one of my dearest and best friends, Maria-Louisa Di-Pinto, asked if she could build a business even though Forever was not yet in Italy. Dusty advised us to consider whether we could personally send the products to Italy, but he backed our decision and told us to go for it. So, every month, we arranged for a freight company to collect a shipment for delivery to Maria-Louisa in Milan; she then distributed the products to her customers. After six months, we learnt that someone based in Spain was doing much the same thing, and eventually, between us, there was enough business being conducted for the company to officially open in Italy. We were already in pre-launch overdrive, and literally every five or six weeks, John, me, or both of us would be over there, without mobile phones, but in a car driving to do endless one-to-ones! When the company finally had their great big grand opening, we had about 200 people in attendance and business in Italy boomed! From that modest success, we focused on Africa and went into Nigeria, South Africa, Kenya, Tanzania, East Africa and many other English-speaking areas. We also started an African BP every week in London, with average attendance of around 400 people! However, at the time, although we had a global business, it wasn’t global as it is today. Case credits didn’t count towards Chairman’s Bonus or anything else other than local income, but we didn’t do it for any of this, we just wanted to build a legacy in other countries. In those days, if you wanted to work with somebody, you got in your car and drove – we regularly did 60,000 miles per year between us, literally driving all over the country to work with teams. These days we can do webinars, Skype calls, deliver online training, group meetings, and Business Presentations – this change has been fundamental in allowing people to build a global business. Now you can do a lot of ‘groundwork’ before even stepping on a plane, but, as good as it is, technology can never replace a good old-fashioned ‘heart-to-heart’. When you get together with people who share your passion, when you feel the emotion in the room, that’s when things change. KH: What’s the most valuable lesson you’ve learnt as an FBO? JL: If John or I could ‘turn back the clock’, we would not have spent so much time with ‘time-wasters’ – people who talk the talk but do very little, who have great intentions but never make a call, who hardly ever show up at BP, training or Success Express event. They give you every excuse in the book as to why they can’t do something, but still insist that they are going to be successful. When you spend time with people like this and they don’t perform, all it does is bring you down, rob someone else deserving of your time, and make you question their lack of success as down to you, but it’s not, it’s down to them. To be successful, you must do more than you think you have got to do, and you must be absolutely 100% consistent every single day, even when you’re not getting results. Always be the student, and always stay humble. Even today, I still learn off others – I want to constantly bring my best game to the table, but I can’t do that if I stop being the student. KH: You are a founder and trustee for the DABW Foundation charity – how did that begin? JL: My mum and dad (Dorothy and Bill Wood) joined the business shortly after us, and within a few years had climbed to second position in the UK. By this time, the UK was doing over 10,000CC and this meant the top two Forever Business Owners were to be invited to World Rally – my mum’s goal and dream was for us to attend together, but then she got sick – a little mark on her leg turned out to be aggressive skin cancer. She was admitted to hospital on a day when the usual nurse was on leave, so a different one turned up. Nurse Otilia was from Malawi, from a little village called Kanyenda which was in the middle of nowhere with no main roads nearby. Otilia told mum that her family was still in the village, but she had come to the UK to make money to send home. The biggest challenge there was a lack of clean water, with the local small river serving as the only source of washing and drinking water for the animals and villagers. When mum heard about the number of children dying from cholera, and that the village had been saving for twelve years to try and raise the £2,500 needed to install a borehole pump, she decided to raise the money from her hospital bed. Sadly, mum died before it was commissioned, but just before she passed away, she asked me to carry on the work in the village. John and I flew out to Malawi and officially opened the well – that’s when we realised that there was a lot more work to do – kids were going hungry and the school was falling down, so our next project was to rebuild the school and kindergarten, and to put in place a feeding programme. When John and I go to Malawi, we live amongst the villagers in a mud hut and local children always want to come and sit with us. We were sitting outside in the dust one evening, surrounded by over twenty kids, when I noticed one little boy, aged about two, sitting in the corner all by himself. He had a runny nose and looked so unhappy. It turned out he had malaria, but two days later when I asked after him, I was shocked to learn that he had passed away. I felt so angry at the thought that a little boy could die for the sake of a £2 injection, so I decided, there and then, that our next project was to build a medical centre. The medical centre now treats about 100 kids daily, with families walking many miles to come to it. We have an inoculation programme, two doctors, a pharmacist, a receptionist and a nurse. "I get excited about the thought of helping someone achieve their potential, and I am excited about seeing where Forever is going and who the next generation of Forever leaders will turn out to be." I wanted to create something of beauty, because life is really harsh in Malawi, often just day-to-day grind. We built the centre with a terrace and veranda, with a garden fronting filled with roses and plants – roses because of my mum’s love for them, and plants and other pretty things because when a woman has walked for miles carrying a sick child, sometimes she just needs to sit and breathe. That whole village is now self-sufficient and supported, with kids rarely dying of cholera or malaria, and instead receiving a good basic education. We’ve also taught the villagers how to grow their own micro-vegetables and they’ve started to grow things like tomatoes, onions, cabbages and green beans. We donate the seeds and have shown them how to grow their own gardens. Some of the money raised for the charity now goes towards maintaining these projects and ensuring they remain at a certain standard. KH: You’re an inspiration to many for various reasons, and one thing I love is your generous spirit. Why do you think it’s important to give back? JL: Right from when I was a kid, I was brought up to understand that you can never truly receive until you have learnt to give, but I was also taught to get as much happiness out of giving, as from receiving. Forever gave us the opportunity to build phenomenal personal lives, and it would be wrong not to share that with others. You also never know what impact kind acts may have on someone else. When we were first starting out, a casual friend of ours owned a shop with a room above it, and he said we could use this as our office and training space. He knew we had no money so he let us have that building at minimal rent for one year. Someone’s kindness is sometimes what gives you a leg up in life, and I don’t know how we would have got started in our business without his kindness – I’ll never forget him. I also strongly believe that you should always come from a place of contribution – that’s who Rex and the Maughan family are in their actions, and that’s how I’ve been brought up. KH: What makes you excited about the business all these years later? JL: I am just as excited today about recruiting a phenomenal young couple or individual who wants to change their life, as I was the day I started. I get excited about the thought of helping someone achieve their potential, and I am excited about seeing where Forever is going and who the next generation of Forever leaders will turn out to be. It’s quite inspiring and motivating to be in that environment, although nowadays I try to be more prudent with my time as I also still like travelling and being with my family. When you join Forever, and you develop a Forever mentality, you’ll find that there will be many people who try to tear you down, but I promise you that Forever will never let you down. You can build a legacy for your family like no other, so don’t listen to the opinions of other people, just do what you’ve got to do. Put a plan in place, and continue to work at it until you have achieved the goal that is important to you. Make sure you have a well-rounded approach to marketing and don’t just sit behind a computer. Build relationships, nurture others and be the kind of leader that others want to follow. Understand that you will have tough days, but it is what you learn in those moments that shape you into the person you will become, and that is the person who has the power to define your future. Don't miss Jayne's exciting new training at June's Success Express event. 17th-18th June at Genting Arena, Birmingham. Book your tickets today at foreveruktickets.co.uk. My older sister and I grew up in a loving home, but in my eyes, my sister has always been the ‘successful one’. She was a talented athlete and swam on the GB Swim Team from a young age! The feelings of inferiority I developed affected the way I saw myself as an adult, and as I started to build my Forever business I was faced with the challenge of overcoming that belief I had of not being good enough. We started Forever in September 2006 so last year we celebrated our tenth year of working with Forever. Over the years I’ve realised how important it is to work on self-development, and through the people and training Forever’s offered, I’m finally beginning to realise my worth! During our first year as FBOs, we immersed ourselves in the company. I literally worked the business in the pockets of time around my full-time job, and then again around my babies. We achieved Manager in 2010 and although we don't have a huge business with a life-changing income, we do have an income that allows me to be a stay-at-home mum to Henry, five, and Jasmine, four. Our first exposure to Rex Maughan was at the Stockholm European Rally and Profit Share event in 2007. After this we committed to attend these events every year and we have since travelled all over Europe. When the events went global, my very best friend Toni Hall asked me to join her as her Global Rally guest and I accompanied her to Johannesburg. It was a complete privilege and an awesome event, and I’m so thankful and amazed at how Forever brings people together. When the children start going to school full-time I intend to use my spare time to focus more on my Forever business, but having the opportunity to increase my income whenever I choose is truly humbling. The ability to make a difference in people’s lives every day is also a fantastic feeling and I thank Rex for this amazing opportunity. "I’ve realised how important it is to work on self-development, and through the people and training Forever’s offered, I’m finally beginning to realise my worth!" My mum is a huge inspiration to me and has been a single mum since I was two years old. She had to work three-to-four jobs just to get by, but somehow, with the help of my grandparents, she still managed to send me to a private secondary school. Private education helped me massively since I have bad dyslexia, but despite the decent education, I knew I didn’t want to go to university. Mum suggested I become a beauty therapist so I did, and I loved it! I got my dream job in January 2008 at Gleneagles and I completed everything that job had to offer. Then I had Ava. When Ava started school in August 2016, I wasn't sure what to do. Childcare was too expensive and her dad and I are not together, so I decided to set up my own business as I figured I could work it around Ava. I called it JAJ Beauty and mum helped by investing her retirement money into setting it up. Sadly, there were beauticians out there I couldn't compete with and it wasn’t long before JAJ Beauty failed. One day, Anna Mair, a good friend of mine from beauty school, invited me over for our usual monthly sleepover, but this time the evening had a slightly different set up. Anna shared the Forever Business Presentation, and although I thought it was a scam, I kept thinking about the opportunity. The next day I was scrolling through Facebook when I came across Kat Crawford. She did the Forever thing Anna was talking about so I decided to invite her round and ask her questions. I wasn’t as close to Kat as I was Anna so I knew there would be no hard feelings if I decided it was a load of rubbish. I signed up two days later with Kat, that was in March 2015. A few days later I was introduced to Kat’s team and I set myself the goal of earning £2,000 a month. This was how much my mum earned and she managed to give me a fabulous life – I wanted to do the same for my daughter! Shortly after this I came across Emma Cooper and I found her incredibly inspiring. I watched her carefully and took on everything she said to do, I listened to all the trainings and I went to my first Success Express event in June 2015. I worked hard, making my way through the Marketing Plan and incentives, and by the October I had climbed my way to Senior Manager. I have had a huge amount of fun over the years and I’ve built some amazing memories. Thanks to Forever I now work flexibly for my daughter, and I’m able to give her the life she deserves. "I worked hard, making my way through the Marketing Plan and incentives, and by the October I had climbed my way to Senior Manager." I had been using Forever products for a couple of years but I used to just find them online as I was unaware of the business opportunity and that I should buy through an FBO. When I learned about the business I joined so that I could benefit from the generous discount. I still wasn’t interested in retailing and I told myself that I was busy enough with my full-time job and social life. At the time, I thought I had far too much on, but within the first few weeks I started to see that Forever had a lot more to offer. Talking about the products I loved and used already every day was actually quite easy and a natural part of day-to-day life, so I decided to give it a real go by finding the time to put a little more effort in. In the first month of joining I was close to hitting my personal target. I set up my Facebook page, created a new name for my business and had some business cards made. Talking about aloe vera became second nature and before I knew it, I had fifteen customers who wanted Forever Aloe vera Gel, and friends and family who were keen to try other products! I promptly set up my own website and joined online support groups and subscriptions including FLP.Social and FLP360°, and in the months that followed I hit Supervisor, I was awarded ‘retailer of the week’ by Victoria Warren, and I achieved the number four spot in the top twenty pro-networkers! I’ve always felt there was something bigger out there for me, I just never knew what it was until I found Forever, and now I can’t imagine not being a part of the Forever family. The opportunity has opened the door to a new career and I feel as if I’ve found my niche. I’m enjoying meeting new people and I’ve never felt so inspired and driven to succeed in life as I do now. Every time I think about Forever, I think of when Richard Branson said, “If someone offers you an opportunity and you’re not sure you can do it, say yes – then learn how to do it later.” I guess that’s what I did, and what I’m doing! I regularly attend the Business Presentation and my knowledge is growing everyday with all the events, training and help received from my mentors. I’m very excited for what the future holds and I can’t wait to share it with everyone – Eagle Manager, I’m coming for you! "I’ve always felt there was somethingbigger out there for me, I just neverknew what it was until I found Forever,and now I can’t imagine not being a part of the Forever family." When I was first introduced to Forever I was asked to look at the business opportunity many times over the course of about nine months, but it was never something that interested me. Then in January 2015 my sister, Emma Rees, joined Forever. She asked if I wanted to join her team but I still didn't think that it was the right fit for me so she introduced me to the products instead. I started drinking Forever Aloe Vera Gel and I was amazed by the results, but I still wasn't sure whether I wanted to join the business. One day my sister decided to make a wager with me and said, "If you win over £200 at bingo when you take mum tonight, then it's fate and you have to join!" That night, both me and my mother won £1,000! I had never won bingo before and I haven't won since so perhaps it was indeed fate that led me to join Forever. Either way, I'm so glad I joined! I have worked in the NHS as a dental nurse for thirteen years but the idea of gaining an extra income that could be spent on activities for the children, days out, weekends away and holidays abroad began to appeal to me. The additional income would also help towards putting the children through university and I have dreams of saving up and building my dream home! I joined Forever in February 2015 and had the most amazing few weeks after joining. I had no team but I hit Supervisor in just forty days with help from my amazing upline – Melissa Buckley and Tracey Munro were my rocks – but then I missed Assistant Manager by just seven case credit in the July. This caused me to doubt myself and Forever so I packed the family's cases and went to Spain. Taking a break with my family at our second home helped me to realise why I was doing Forever, and I returned from our break more determined than ever – I hit Assistant Manager in the November because I realised that if it’s meant to be, it is up to me! This year I am focusing on rebuilding my team, and my goal is to hit Manager by June. I have achieved many of the company incentives and I even accompanied Melissa to Eagle Managers’ Retreat in 2016. I have never missed my monthly 4CC target since joining the company and I’m looking forward to seeing what the rest of 2017 brings. "I hit Assistant Manager in the November because I realised that if it’s meant to be, it is up to me!" When I was young, I was taken under the care of my aunt and uncle. It was hard because I wasn't your typical child, I was disabled. They took me in and brought me up alongside their own three children, and they never gave up on me. They gave me so much love and that made me the person I am today. With their support, I gained my GCSEs and three A-grades at A-level, despite ‘professionals’ telling me that I’d never be able to achieve that. Even after I achieved these results I was told by social services not to go to university; they would not fund my support so we fought them so that I could go. Even at university it was a continuous battle to try and get the correct support. With a lot of hard effort, I left university with a 2:1 and I am now training to be a doctor of health psychology. I still frequently worry that my support will be cut and I constantly have to plead, beg and fight with social services to ensure that I receive the support I need in order to live my life as a human being should do. A few years ago, I became obsessed with playing the lottery; I’d pray that I’d win the Euro millions so that I didn’t have to worry about relying on social services. But in August 2016, I met my old school friend Lucy. She offered me hope when she introduced me to Forever and when I saw the potential of the business opportunity, I grabbed it. I saw a light at the end of the tunnel which would lead to a place where I wouldn’t have to degrade myself every few years to prove to social services what I can't do, just for them to give me the support I require. Instead I've joined a team that praises me for my abilities and what I CAN do. I'm no longer a victim, I can start dreaming again, and I no longer play the lottery! The Forever opportunity is not really about the money, but rather the choices it offers. It gives people hope, and I want to offer hope to other people too; to those who, for whatever reason, feel as if their life is not in their own control. I'm going to ensure I work and achieve everything I can in Forever. I have so many aims and dreams now, and I'm looking forward to the day I write a letter to social services telling them that they can no longer rain on my parade! "I've joined a team that praises me for my abilities and what I CAN do. I'm no longer a victim, I can start dreaming again." Sapphire Manager Natalie Heeley continues to take the Forever world by storm as she secures the number one spot in the UK for the third year running. KH: WHAT DID LIFE LOOK LIKE WHEN YOU FIRST STARTED FOREVER? NH: I’ve been in Forever about ten years now but my background is in marketing. I was made redundant twice and the second time I was pregnant with my son Will. I therefore became a mum at home, which was great because it was what I always wanted anyway, and Rosie came along pretty quickly after, but money was a struggle. For ten years prior to this, my mum Jan Whittaker had been asking me to look at Forever, but I’d never been interested before. However, things changed when I had both children and I found myself wanting something that was going to be flexible, something that was going to be challenging, and something that was going to give me loads of support because I didn’t have much confidence or belief in myself at the time. Will was two and Rosie was five months old when I started my Forever business. KH: WHAT ADVICE WOULD YOU GIVE YOURSELF IF YOU COULD GO BACK TO THOSE EARLY DAYS? NH: If I were to start the business again, I would tell myself to never compare myself to other people. It’s so easy to do, but we need to remember that we are all on our own journey and we all come into it with different challenges, different goals and different skills. Every Forever Business Owner needs to realise that they are individuals who are able to make it happen. In fact, the only way you can fail is by quitting, so you need to make sure you are getting up each day with that positive mindset, getting out of your comfort zone, and working on challenges to ensure you overcome them. Self-belief also plays a crucial role. It took me two years to get to Manager because I didn’t believe that I could do it, and it took me a long time to learn that you have to work on your mindset daily. KH: HOW DOES IT FEEL TO SECURE THE TOP SPOT AGAIN? NH: It’s pretty amazing to be recognised as the number one FBO for the third year running, but it’s not just down to me – my team is just incredible and I want to say a big thank you to them all. This achievement is also a testament to hard work. When I started my Forever business I worked literally every moment I could around the children, and it just shows that if you put that hard work in, it will pay off in the long term. KH: WHAT WOULD YOU SAY TO FBOS WHO ASPIRE TO BE LEADERS IN THE FIELD? NH: Firstly, it’s important that you do your research and make sure you are clear on what tools, events and trainings are available to you. You should then access these tools and trainings yourself before sharing them with your team. I think the company trainings and events that I’ve benefited from the most are the Success Express events. They are so important as they keep you motivated, they help to build team spirit, and the trainings are absolutely incredible. The Advisory Board product trainings are also essential as they will help to build your confidence when it comes to retailing the products and they will also help you to coach your team. Using the tools on foreverknowledge.info has also been beneficial to my business because everything is at your fingertips and you can access it from home in those little spaces throughout your day. As well as promoting the company trainings and events, being a leader requires teaching others the basics of the business. It’s teaching people how to retail the products, how to do a great product launch, how to make a phone call, how to do a one-to-one and how to run a Business Presentation, whether that’s a home BP or over a coffee. You don’t need to reinvent the wheel as it’s worked for forty years; you just have to be persistent and teach others. For me, a massive part has been teaching others about mindset. I believe that 80% of our success is down to what we are telling ourselves so I constantly remind my team to work on their mindset daily. KH: HAVE YOU ANY SUGGESTIONS FOR THOSE WHO FEEL THEIR BUSINESS HAS SLOWED? NH: Remember not to compare yourself to other people – running a business is not a race and it is perfectly normal to go through stages where business remains at a steady pace. However, if you are keen to see growth, it may be worth looking back in your diary to remind yourself what activity you’ve been doing. Look at the past three months, how many one-to-ones have you had? How many guests have you taken to the Business Presentation? Ideally these are face-to-face activities but they could be online, and although you will probably find that you’ve done a bit, it’s likely you have room to do a lot more. Just try increasing your activity and you’ll soon see the results you crave. What I do, and what I tell my team to do, is to try and do a minimum of three to five one-to-ones per week, and attend a Business Presentation, with a guest, on a weekly basis. By doing this amount of activity, you are likely to recruit one to three people each month. If you aren’t going to the BP, a big part of the jigsaw is missing – the BP will give you the motivation and encouragement you need to confidently talk about the business; make sure it plays a key role in the diary, but most importantly, don’t give up and know that you can do it. KH: WHAT HAS THIS PAST YEAR (2016) LOOKED LIKE FOR YOU? NH: This past year has been pretty magical: I turned forty when we were out in South Africa at Global Rally and this was followed by the most amazing family holiday. My kids, my mum, my brother and sister, we all went on safari and we really just spent loads of time together making memories. I had a big party with my team out in Johannesburg, and I also picked up a million dollar cheque which made it a pretty spectacular birthday. When we came home we had a few more parties, so it’s literally been a year of celebration and having fun. Amongst all this I also met my partner, we’ve renovated our beautiful farm house which has always been a dream come true, and then to finish the year off I found out that we are expecting a baby! KH: WHAT ARE YOUR PLANS FOR 2017? NH: This year my focus is being a mummy again. Rosie is now eleven, Will is twelve, but this time it’s going to be so, so different. All those years ago I didn’t have much money or time, I was a single parent and there were lots of challenges that we had to face; this little girl is going to grow up in an entirely different environment. Our house is nearly finished so we are going to be living in our dream home and we can’t wait to introduce our baby girl into the family. It’s going to be pretty scary going back to babies but we are all so excited. I’m also looking forward to working with my team, watching them achieve Chairman’s Bonus and Eagle Manager, and obviously I am going to have the opportunity to meet lots of new mums which means conversations that could lead to them changing their future. All in all, 2017 is going to be a great year. KH: WHY ARE YOU FOREVER PROUD? NH: Forever has provided me with financial freedom and for me that means choices; choices to do whatever we want, when we want, without having to think about whether we can afford it. That’s been pretty life-changing for us. I’m also able to work closely with my mum and sister, and together we’ve been able to change our family’s lives. It’s humbling to know that by simply sharing the opportunity, we’ve changed hundreds of lives around the world as well. I love meeting so many different types of people and to work in such a positive and motivating environment is rare these days. That’s why I’m Forever Proud. "Remember not to compare yourself to other people – running a business is not a race and it is perfectly normal to go through stages where business remains at a steady pace. However, if you are keen to see growth, it may be worth looking back in your diary to remind yourself what activity you’ve been doing." I started my Forever journey back in February 2015 whilst working for a large well-known soft drinks brand. I headed up their national sales team which consisted of over 130 managers, and while some may say I had the perfect career, I always believed there was more to life than working a sixty-hour week and having no time to yourself. Fortunately, I saw the Forever opportunity as my way out of the corporate rat race. I set a goal to get to a place where I’d be able to quit my job within five months, and exactly five months later I resigned. I knew that working alongside such an incredible company with amazing products would work, so I began building a business by following everything that my upline told me to do. Kyle Burrows and Emma Cooper were outstanding mentors! I achieved Manager in three months by working my business around my job, and alongside managing my own personal £multi-million international property portfolio. I was also having my house extended and I was in the middle of buying a new three-bed London apartment to rent out. I may have been busy, but I made time for my Forever business; it was going to set me up for the future and once there I would never have to look back! I now have four amazing Managers based in Scotland, and a team of over 300 people – we are like one big happy family! The friendships you make in Forever are incredible; these people are going to be in my life for the rest of my days, and the journey we are going to walk together makes me ‘smile’. When I was at Global Rally in South Africa, I looked around and, whilst holding back emotion, I knew I was working for something special when I saw such inspirational and highly motivational people. I am more committed than ever to carry on building my business with Forever, and Senior Manager is firmly set on the horizon, but I have also had the time to retrain in something I’ve always been passionate about – property. I have now qualified as a self-employed mortgage and insurance advisor and I intend to work this role alongside my Forever business. Forever has given me options; options to have more time, freedom, and the ability to do what I want, when I want, and with whom I want. That is priceless! I would like to thank everyone who is playing a key part in my journey and I am super-excited for the years ahead. "The friendships you make in Forever are incredible; these people are going to be in my life for the rest of my days." Before Forever I was a bank branch manager and I’d worked in the same corporate organisation for fifteen years. I had a great salary, a great team and it was my dream job. Life was good but when I fell pregnant with Poppy (our third), things started to change. One month before Poppy was born my mum was diagnosed with terminal cancer. My whole world fell apart. She underwent a life-threatening operation the day before Poppy was born and I suddenly realised that this ‘dream job’ I thought I had wasn’t going to work anymore. It was missing something crucial – work-life balance. It was clear that juggling three young kids, a corporate career and mum’s illness just wasn’t possible. I had no time, and sadly time was running out for mum faster than we thought. After I had Poppy, I was desperate to lose some ‘baby weight’, so I decided to try the C9. Afterwards I looked great and felt amazing, and the lady I bought it from suggested I take a look at the business opportunity. I took one look at the Marketing Plan and knew straight away that I was in. Suddenly I had found a business that I could work around nap times, mum’s treatments, feeds, hospital visits, school, kids’ clubs, etc. I had found my way out, and a way to create the work-life balance I craved. Forever has given us so much. Fast-forward to 2017, and we have an extended family home, we have managed to take the kids to Disney and I have travelled to places I could only dream of before. With our first Chairman’s Bonus cheque we were able to replace our old car, and the remainder went to Strathcarron Hospice where my mum spent her last ten days (she sadly passed away in January 2016). The most important thing that this business has given us is memories and the time to create them; memories with Ross and the kids, and memories with mum. We were able to take her on trips, and I was able to be by her bedside twenty-four hours a day when she was in the hospice. This was the moment I realised that the business opportunity has the potential to change lives – it had certainly changed mine! "I took one look at the Marketing Plan and knew straight away that I was in. Suddenly I had found a business that I could work around nap times, mum’s treatments, feeds, hospital visits, school, kids’ clubs, etc." My journey with Forever started when a friend of mine contacted me to highlight the fabulous opportunity. It took a couple of attempts of contact, but once we met, I signed on the spot – I was so excited about starting a new journey and I felt it would really benefit my family. My husband and I both work long shifts which means we’re constantly juggling childcare for our two children Paige and Dylan. I work for the emergency services, which means a varied shift pattern often at unsociable times, and my husband's job is of a similar ilk. Fitting in quality family time is a nightmare so one of the main reasons for starting the business was so that I could earn enough to free up time, time that could be spent together as a family. My Business Owner Box arrived and I got to work. I made sure I started by familiarising myself with the products and I quickly saw the benefits which helped to fuel my enthusiasm. I also knew early on that I wanted to build a team; I wanted to help others like me achieve their goals and dreams, and I loved the idea of giving them an opportunity which could lead to a better future and lifestyle. Forever has helped me to become more confident by taking me out of my comfort zone. I’ve met so many new and different people – my normal daily routine wouldn't allow this – and this has helped me immensely. I have travelled to many cities thanks to building my business, and I’m consistently broadening my knowledge. I'm excited about our future and it’s now looking even brighter; the prospect of dropping my hours at work is looking more likely and this means I’ll be able to spend more quality time with my family whilst I continue to grow my business. "Forever has helped me to become more confident by taking me out of my comfort zone." I started singing around the pubs and clubs at the age of eighteen. My mum helped me to get started by paying for my first PA system and managing me, and through this I built up an amazing career entertaining crowds under the name of Gary Marsden. Over the years I’ve had the privilege of singing alongside some well-known artists like The Vengaboys, Lisa Scott-Lee from Steps and Alexandra Burke. I absolutely love singing and I'm also part of a duo called Fascination! I had dreams of becoming a pop star and of having a lifestyle like a rich and famous person, but, at the age of thirty-four, these dreams seemed less likely. Alongside my music career, I worked as a presenter at my local bingo. For the past twelve years I've worked split shifts and my working pattern began to take its toll. Gigs and bingo took up most of my time, any kind of social life was rare, and I knew things were only going to continue unless something changed. I came across Forever when I noticed one of my friends had achieved impressive results from completing the C9. I wanted to know more so got in touch with a friend of over fifteen years who I knew sold the product. After completing the programme I felt amazing and was very happy with the results. A few days later I received a message from Jo saying how great I'd be at the business – I didn't even know the business opportunity was available to me but after seeing the Business Presentation I was amazed! After much discussion, I realised that this opportunity would give me the chance to finally turn my dreams into reality. I couldn't afford the Business Owner Box so my mum came to the rescue; she knew how passionate I was about it. I joined Forever and after two months I'd managed to recruit three people and not long after this I hit Supervisor. The feeling was amazing but I wouldn't have done it without the hard work and support of my team. Forever is now my focus and I can see a big future ahead. I know, hand on heart, that I will be successful and I urge anybody who is looking for change to pursue this amazing business; it could transform your life like it is mine. "After completing the programme I felt amazing and was very happy with the results." Darren’s life was football, football, football. Every day was about working on his fitness, training and being healthy, and if he wasn’t on a football pitch or in the gym, he was on the golf course! Darren played with and against top players and he would visit and play in various countries – he was ‘living the dream’. But, in 2008, Darren suffered a snapped cruciate and problems with his knees, and although he is still playing local football, his professional career had to come to an end. Darren was devastated as football was all he knew from such a young age. He had to have four knee operations and it was becoming a daily struggle for him to work and walk, never mind trying to play football! Darren discovered Forever whilst working at a client’s house and soon realised, without knowing the details, that there was a very good opportunity available. Darren recommended the business to me as he knew I was at a crossroads – I had very little spare time and no work-life balance, and we instantly saw an opportunity to earn (in time) a substantial income alongside a flexible lifestyle. We signed up and I currently play the lead role whilst Darren shares his product experiences and the opportunity to everyone he meets. So far the business has given us amazing friendships, it’s allowed us to set goals and get excited, and we can now start to build a career together and plan for a future we didn’t think was possible. In 2011, at the age of twenty-one, I was a single mum to my little boy Tyler who was two years old, and I was working full-time for a large retail chain. I dropped out of college at nineteen when I became pregnant and two years later I was feeling like I hadn’t fulfilled my potential. Retail became something I was good at and even though I adored being a mum, I didn’t want to be just another young mum in the system. There was never anything wrong with my life; I had great friends and family, and a job that paid a wage that paid my bills, but there was always something missing – I just didn’t know what! My bosses were amazing but working full-time had no flexibility for me as a mum with a young child, and I really struggled to pay for childcare costs. I was working for the pride of being able to say I was, but I had no money once everything was paid. I had no qualifications other than my GCSEs, and no real life experiences. Even if I did want to do something else, I didn’t know where to start, but that’s when Forever found me. I saw a chance to shineand earn a corporate income with full training and support, so I jumped. For the past six years I have built a global business and a corporate income that surpasses anything I could have ever imagined. My Forever income has allowed me to privately educate my eldest, travel the world, drive dream cars, have our dream wedding, and it’s given us time to have two more children: Miles, one, and we have another on the way! I love being a stay-at-home mum, but I also love that I don't have to sacrifice a career to do that. I have spent the last few years building myself up, something I know is invaluable, and although I have a lot of friends who are sceptical, once I talk people through the Marketing Plan and the stability of the company, even if it isn’t right for them, they seem to come around. I started this business as a baby and have become someone I’m truly proud of. Forever will never just be a job for me, and the people I work with will never just be people I work with; Forever is my life, and I will always be passionate about sharing this opportunity. "For the past six years I have built a global business and a corporate income that surpasses anything I could have ever imagined." I came out of school with a D as my highest GCSE and I was incapable of committing to even one year of college. At sixteen I went straight into an office administration role, but I only lasted a week! I picked myself up and tried again and landed a customer service role. This time six months went by, but then I was in the same situation, booted out for the better of the company! This pattern lasted for the years that followed. I have dyslexia, ADHD and I’ve suffered with depression for a number of years. I can articulate and hold a good conversation so I don’t often come across like someone diagnosed with dyslexia, but I've always struggled to stay on task. I get distracted easily and time slips through my fingers. Writing is difficult and takes me a long time, and to concentrate on something is really hard work for me. These things, along with terrible time-keeping and a worse attitude, put a strain on me progressing in life. When I was twenty-two I decided I was better suited to self-employment. I entered a modelling competition and for the first time I knew what I wanted. I moved to London to pursue it properly and through the jobs I received I met some incredible people, gained great experience and it was something I could pick up when I wanted. Unfortunately I just didn’t have the drive to push myself so I ended up returning to the office. After a year and a half I had had enough; I was tired and underpaid and I was also slipping into deeper depression. I went to Bethan as a shell of my former self. For the first time in three years I was ready to listen to her. I had no idea if I could do it and I lacked self-belief, but I had nothing to lose. I wanted to learn and see if the business could do all the things it promised. The more I worked the business and developed myself as a person, the more obvious it became that I had to make some serious life choices. In the space of a week I left my relationship, my home, a mortgage, the city, attended a funeral, and I helped my Nan through depression. Forever became a focus away from everything else, and I put all my efforts into helping, advising and guiding my team. My upline’s advice and dedication to me and my team kept me strong and excited, and I absolutely adore where my life is headed. I chose to believe the impossible was possible and now I’m proud to say I’ve found something I can, and will, commit to. Forever UK isexcited to share a holiday message with you fromRex Maughan. In the message Rex talks about how 2018 was a special year for us as we celebrated our 40th anniversary. And how he is thankful for each of you for the role you have played in our journey so far and for being a part of the Forever family! As we look to the future, there are still people out there that need the opportunity we have to offer and to experience the amazing benefits of aloe and our products. Please never lose sight of the beautiful simplicity of what we do. This passion is what sets us at Forever apart! We can’t wait to see what the next 4 decades and beyond have in store!From all of us, we wish you a Merry Christmas, Happy Holidays and a healthy and successful New Year. When the needs of others matter just as much as your own, you’ve accomplished something that can’t be defined by a number in your bank account. You’ve discovered what it really feels like to be selfless. And as time goes on, you’ll find that this need to help others is a powerful one, something that brings joy into your heart, your work and the people around you. And that spirit of selflessness is something that makes Forever unlike any other business in the world. You succeed only when you help others. Consider the story of Takao Suzuki, one of our Forever family members in Kumamoto, Japan. When two huge earthquakes caused widespread devastation in 2016, Takao made sure his family was safe, then immediately turned his attention to all the FBOs in his region. The damage was everywhere he looked, yet Takao still found ways to support the FBOs who needed it most. He personally made sure those who had lost the most had everything they needed to care for their families, communities and livelihood. Takao made himself available day and night to support FBOs in any way he could, whether it was alast-minute delivery, a listening ear or love and motivation. Even in the face of such devastation and tragedy, Takao never lost sight of the big picture. Forever is about putting others first. I hope that’s a lesson you’ll remember. You can’t truly succeed in this business unless you see the bigger picture of helping others look better and feel better. You don’t have to do anything on a grand scale like Takao. Just help one person at a time. You are a mentor and the foundation on which others will build their business. Lead by example and teach your downline to do the same. You will find that your acts of kindness have a ripple effect that impacts lives far beyond the scope of your reach. Something I’ve always loved about the nature of network marketing is that when we all support each other and act thoughtfully, we all grow together. If your business isn’t rooted in a passion for helping others, you’re going to find lasting success harder to come by. I think you’ll find that by embracing a spirit of selflessness, you’ll not only build your Forever business, but reap the kind of rewards that you simply can’t put a price on. Throughout the day, you will hear from Forever Ambassadors Ben Cohen and Kristina Rihanoff, Advisory Board members and other FBOs about their own experiences with Forever. We will also be running two Business Presentations, so that you can introduce your new prospects to the business. This event is not-to-be-missed, so don’t forget to add the date to your calendar! As a nation we love a cup of tea, in fact it is estimated that the number of cups of tea drunk every day in Britain is 165 million, and, apparently, there are 24 million ways to make a cup of tea! We know that the debate on how to make the perfect cup of tea will never be over, but with it being National Tea Day on Sunday 21st April, we wondered whether we are making the most out of our cups of tea, however you take it. Whether you're happy or sad, angry or tired, you can guarantee that there is a type of tea to help you and your mood. We recommend the refreshing taste and comforting aroma of Forever’s Aloe Blossom Herbal Tea, with its warming notes of spice including cinnamon, cardamom, ginger, fennel, allspice and clove, mixed with fruity tones. This caffeine-free and unique blend of tea is a wonderfully uplifting drink to calm you down after a busy day at work. Everyone makes traditional tea differently and how a tea is brewed can make all the difference. Most traditional teas should only be brewed once, although some stronger teas can be brewed twice so always check the packaging. The longer a tea is steeped for, the more caffeine is released and equally a tea that is only left to brew for 2 minutes will result in a less caffeinated cup. Brewed tea is 99 percent water, so the water you start with has a lot to do with the final taste of the brewed tea. Once you have the freshest water, tea generally requires a brewing temperature of anywhere from 160 to 212 degrees, depending on the type of tea. The best way to brew tea is with patience and attention. Scientists at the University of Northumbria's School of Life Sciences discovered that the key to the best tasting brew is to let it sit for six minutes before drinking. Also, according to former royal butler Grant Harrold, we’ve been stirring tea all wrong. He says that there's a particular method for stirring a cup of tea: never use a circular motion and never touch the sides; stir back and forth. Once you've decided on your preferred flavour of tea, you now need to choose the perfect cup to drink it out of. According to research, 65 percent of Brits have a favourite cup or mug they use for their morning cup of tea. If you love the cup you're drinking out of, your tea will automatically taste a whole lot better. Herbal teas could be a wonderful addition to your daily skincare routine. For example, sprinkle some tea leaves into a bowl with hot water, hover your face over the top and cover your head with a towel. Slowly breathe in the steam. Alternatively, for tired eyes, place tea bags in just-boiled water for about two minutes, remove your bags and allow them to cool. Once cool, place one tea bag on each of your closed eyelids. Leave to soak for about 15 minutes. When you brew a cup of hot tea, do you reach for honey or sugar? Honey is one of mankind’s oldest food sources, providing natural energy and goodness to bees and humans alike. If you regularly find yourself reaching for refined sugar, you should definitely consider replacing it with a bottle of Forever Bee Honey. It is 100% pure and superior in taste with a floral aroma that leaves behind a subtle fruity finish. Honey is also sweeter than sugar, so you may use less of it, but is does have slightly more calories as it’s a lot denser. Whatever your reasons for brewing your cuppa, it’s clear that tea deserves to be celebrated. What’s your favourite cup of tea? Let us know in the comments. Professional dancer, choreographer, yoga teacher and former Strictly Come Dancing star Kristina Rihanoff is no stranger to quality products, and when it comes to decent skincare, the health-conscious star knows what she likes and what works for her. We caught up with Kristina to learn more about why she considers her Forever skincare routine to be the best skincare over other brands. Why is skincare important to you? Kristina: As a person in the public eye I have always tried to look after myself. I wear lots of makeup when I have social appearances, when I meet people and do my classes, so skincare has always been a big part of my daily regime. The older I get, the more I am trying to be thorough with that; obviously as you age you need to start introducing anti-ageing properties and hydrating properties, so that’s something that’s very important to me. Have you always had an established skincare routine? Kristina: I’ve always had some kind of skincare routine as years of competing meant I had to wear quite heavy makeup. As a result, I became very thorough when it comes to cleansing my skin, using scrubs and introducing hydrating products. Why do you like forever’s skincare products? 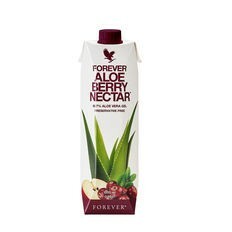 Kristina: I’ve been connected to Forever Living for five years now and I love aloe vera products, particularly the drinking gels. I’m quite conscious about what I put into my body as well as on to my body, so the skincare was really a continuation of this. 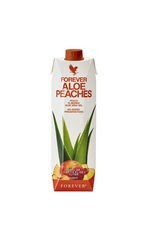 I love the Forever Aloe Vera Gel; aloe is great for shiny, glowing skin and nails, plus the drink has added vitamin C which contributes to normal collagen formation. I really feel like it enhances my complexion, but it also complements the Infinite by Forever skincare products I use. 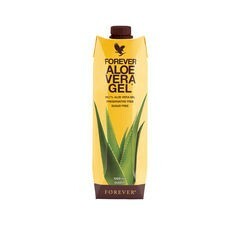 The properties of aloe vera are very healing and moisturising and it suits my skin really well. When Infinite came out two years ago, I absolutely fell in love with the products and I still use the kit, morning and evening. I feel like it’s a wonderful base for makeup, because it’s not too heavy, and it also has good moisturising properties. My skin feels nice when I go to bed after I’ve taken off my makeup! What’s your favourite forever skincare product? Kristina: To be honest I use the whole Infinite skincare system together so it’s hard to pinpoint a favourite, but I absolutely love the Aloe Bio-Cellulose Mask. This is my go-to product on days when I have to be in public a lot, if I have a guest appearance, you know, things like that. I honestly love it, 1000%, I think it’s an absolutely amazing product! How do you feel in yourself since you swapped to using forever skincare products? Kristina: It makes me feel good because when I look at my skin, I can see that it’s in good condition, and that’s because of the products I use. I can really see the inside-out effect working and, like most women, if you use good skincare and take care of your skin, that will make you feel more confident. How do you feel about being a forever brand ambassador? Kristina: I’ve been an Ambassador for Forever Living for five years and it’s an absolutely amazing company to be with. I always look forward to seeing new products and how the products develop – it’s always so exciting! It’s a very organic relationship and I’m so passionate about it; whenever I do my own yoga sessions, a wellbeing session and various other events, I’m always so excited to talk about the products. I use them every day and I use them for me, so I can honestly tell people about my experience with the company and with the products. Have you ditched old products in favour of Forever? Let us know your skincare routine in the comments below. According to the Mental Health Foundation's 2018 study (on over 4000 people), stress affects 74% of people in the UK, and with April being stress awareness month it got us thinking about the connection between stress and our skin's appearance and ability to glow. We all handle stress differently, therefore stressed skin can look different for everyone, but generally stressed skin often looks dull, flaky, and dry; it can feel tight and you could experience a sudden acne breakout which is not what we want when we lead busy lives. We need to remember that our skin is the body’s largest organ and when you’re stressed it fails to get the nutrients it needs to repair itself. But do not fear, here are some easy tips to make your skin glow and get your skincare routine back on track. What better way to increase your skin's glow than with an aloe-infused face mask that literally seeps aloe vera goodness directly into your pores? Unlike traditional masks, this fabric Aloe Bio-Cellulose Mask fuses aloe and seagrass between bio-cellulose fibres to ensure deep moisturisation that penetrates every fine line and wrinkle, soothing and conditioning skin. Yoga increases your circulation and, as you flow through yoga poses, it will help to get blood and oxygen circulating through your body. When your circulation is increased and things are moving more efficiently through your body, you’re more likely to handle stress better, feel energised, and this will improve your skin’s glow. A 2013 study, Cues of Fatigue: Effects of Sleep Deprivation on Facial Appearance, has found that sleep deprivation affects features relating to the eyes, mouth, and skin. Your body boosts blood flow to the skin which means your skin can heal itself while you snooze, and this means you may wake up with a healthy glow. In fact, to enhance your skin even more while you sleep, apply Forever’s Sonya Refining Gel Mask 2-3 times a week before bedtime. As the cool gel quickly absorbs into your skin, you’ll feel the moisturising effect of our rich, stabilised aloe vera gel, and moisturisers like apple fruit extract and clover flower extract will leave your skin feeling soft with a youthful glow. We know that probably the most common skincare hack you’ll ever hear is to drink water, and this is brilliant news since it’s a simple solution that’s accessible to all. Water keeps you hydrated and flushes out toxins, and hence it results in healthier looking skin. The NHS recommends 6-8 glasses of water a day. You can also tackle skin from the inside out with our trusted Forever Aloe Vera Gel. Aloe can benefit skin, hair and nails, and since this gel is 99.7% pure, its purifying properties can work from within to give you that beautiful aloe glow. What you put in your body is just as important as what you put on your skin. There are some really simple, yet powerful foods we can eat to take control of our skin problems. Some of these superfoods include eggs, avocado, blueberries, quinoa, broccoli, spinach and kale so make sure you stock up. To find out more read our Benefits of free foods blog. Do you have any tips for making your skin glow? Let us know in the comments. If you recognise the potential in the business opportunity or just want to find out more information then please get in touch. Fill out the fields below and I will contact you as soon as possible.